Speedy the cheeky house bunny: Let My Christmas and Holiday Countdown Commence! Today is the 1st of December!Let My Christmas and Holiday Countdown Commence!Even though we have all lost our dear friend Easy,He would want us all to carry on and try to bring the Holiday Spirit to you all!So the Show must go on! 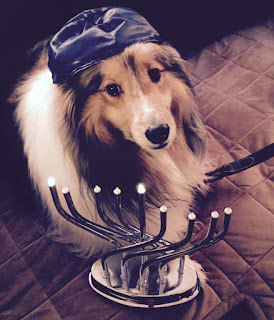 Don't they look great and they are ready for Hanukkah and their holiday celebrations! Still so much more to do at our house,Have you got your house done yet? If so then send in your photo's either by email to [email protected] or on my Facebook Event by the time my mum gets up on Christmas Morning which is about 5am UK time!Remember My Favourite 3 will get a christmas gift to be sent out after the big day to carry on with the Holiday Spirit! I love that kitty menorah! Paws up, Cody! Awww you are so sweet!!! Thank you for posting both of my boys!!!!!!! We are happy to pawticipate!!!!!! xoxoxo We love you! Don't they look adorable. Your tree is pretty. You are RIGHT... Easy would NOT want us to be Sad fur LONG. Ho Ho Ho ... I am getting into the spirit of things. Candy canes around! Gosh Speedy! Its just too beautiful for words!! mes can't wait to gets mine up this year - along with the train. Wes gots so much more room in the new place it will look awful small, but that's OK, mes small too! Great countdown! I worked my way back and enjoyed all the countdown posts very much!! !